Home Fitness and Wellness Are Monster Energy Drinks Bad for You? Energy drink is a soft drink that – according to the manufacturer – currently increases energy levels in the body. There are several studies that confirm that energy drinks when used for a short period of time increase the mental and cognitive abilities, alertness and physical endurance. The energy in the energy drink does not happen as a result of burning calories, but because stimulants and vitamins it contains. The bottle of energy drink is a popular way to get the necessary energy when you simply do not have time to sleep. Unfortunately, the price for an additional 3 or 4 hours of activity is excessive. Even natural energy drinks harm your body. Although one bottle of energy drink shall not seriously harm you, 2-3 bottles a day can cause arrhythmia, insomnia, nausea, nervousness, dehydration, and stomach pain. In the US, due to the side effects of taking energy drinks is one of the common reasons for emergency visits. Invigorating effect of energy drinks comes from the synthetic caffeine, theobromine, and theophylline. These synthetic stimulants accelerate the release of adrenaline, which increases the heart rate and blood circulation. Blood flow inside the brain increases and you start to feel happier and stronger. But this extra energy does not come from the outside but is drawn from the body. Such a “refreshing” effect costs us later: it leads to fatigue, apathy, and insomnia. Regular consumption of energy drinks can deplete the adrenal glands and cause a disease called adrenal fatigue. Energy drinks have become popular in Asia long before they arrived in the United States and Europe. The company Taisho of Japan, in 1962, made the first energy drink called Lipovitan D, with the aim of helping employees to work overnight. Lipovitan D contained taurine, an ingredient of almost all of the today’s energy drinks. Austrian businessman Dietrich Mateschitz on his trip to Asia realized the commercial potential of energy drinks and 1984 in Austria, founded the company Red Bull energy drink with the same name and it ended in the best-selling energy drink in the world. In the US, the first energy drink appeared in 1987 under the name Jolt Cola and it was not a “soft drink” by all means with its high concentration of sugar and caffeine. The composition of the energy drinks, regardless of the manufacturer, is very similar and it includes caffeine, sugar, taurine, aromas, vitamins, CO2, fruit concentrates, preservatives. Caffeine is an organic compound of many plant parts such as coffee beans, cocoa beans, tea leaves. It is a natural psychostimulant and daily intake should not exceed 300 mg. Caffeine has no nutritional value, it stimulates the nervous system and keeps the body awake. This effect is short-term, lasting a maximum of a few hours so it usually does not meet the needs of the consumer, which leads to excessive intake. Sugar (sucrose) is the main source of energy in the energy drinks. Very rapidly absorbed from the gastrointestinal tract, it provides a large amount of energy required for work and additional effort. It also gives the sweet taste of the drink, which contributes to the fact that the sugar in these drinks is almost irreplaceable. Taurine, the organic acid, is a substance that helps with protein building. It is found in the body after physical activity to prevent oxidative stress, and it has been proven to participate in central mechanism of thermoregulation (regulation of body temperature). 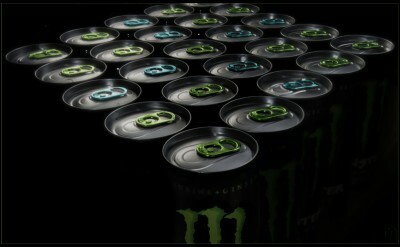 The energy drinks affect the blockade of the physical exhaustion and fatigue. Guarana (Paullinia cupana) is a plant of a bushy shape. It grows in the jungles of the Amazon and Venezuela. Guarana seed extract contains caffeine and other xanthine derivatives, theophylline, and theobromine, which have a similar structure to caffeine, although slightly milder. Citric acid is added for the purpose of masking the bitter taste of caffeine. As the taste-masking of caffeine needs a high concentration of citric acid, it makes the drink acidic. In order to maintain the pH value of the solution, the base has to be added, so it happens conjugation of the Na-citrate with citric acid, which forms a buffer mixture. The pH value of the majority of the energy drink extends from 3 to 3.5 pH. Vitamins B groups are present in most energy drinks. Vitamin B2 (riboflavin), Vitamin B3 (niacin, nicotinic acid), vitamin B5 (pantothenic acid), Vitamin B6 (pyridoxine), Vitamin B12 (cobalamin). All of the above vitamins are water soluble and have a number of functions in the metabolism. The reason for their use in energy drinks is their function as cofactors, being a part of a large number of enzymes involved in the metabolism of fat and carbohydrates. D-glucurono-γ-lactone (DGL) is a natural metabolite of D-glucose and it participates in regulating the formation of glycogen, stored from sugar in the muscles and the liver. Since it increases the concentration of glycogen, leading to higher binding of water molecules in the muscles, it leads to their increased volume. DGL has found a role in sports such as bodybuilding due to its function. Like other stimulants, energy drinks are addictive. Many users of such beverages will become dependent and without their daily dose of the energy drink, a person will start feeling moody and irritable. Energy drinks damage the internal organs. The cardiovascular system often reacts to the “artificial energy” with arrhythmia, a sudden change in blood pressure and tachycardia. The stomach suffers from the carbon dioxide, which increases the production of the gastric juice and the acidity of the stomach, which would harm the gastrointestinal tract eventually. Pleasant taste, color, and aroma of energy drink was created with the help of chemical substances. Every energy drink contains dozen of them. All this chemistry is damaging our liver. It is wrong to believe that energy drinks improve physical fitness, so it is not advised to use them. Caffeine has a diuretic effect and thus increases fluid loss from the body, which may adversely affect the physical capacity in some sporting activities. In addition, these drinks can cause excessive nervousness, irritability, and even anxiety attack and we all know how concentration and mental stability is essential for athletes. There are other solutions which are healthier and better than this kind of beverages. Previous articleHow Many Calories in an Apple?